Located off Nolensville Road near Nolensville Park, the Stonebrook Subdivision is a single-family home development in Nolensville TN (Williamson County). Popular Streets in Stonebrook Subdivision include Austin Court, Bluegrass Road, Cloverwood Court, Cobblestone Court, Countryside Road, Creekside Drive, Cromwell Court, Mill Creek Lane, Quarter Horse Lane, Rolling Hills Drive and Stonebrook Boulevard. 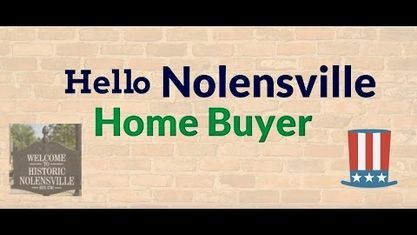 Other nearby Nolensville Neighborhoods & Subdivisions include Winterset Woods Subdivision, The Woods Subdivision, Summerlyn Subdivision, Sherwood Green Estates Subdivision, Nolen Park Subdivision, Nolenmeade Subdivision and McFarlin Woods Subdivision. View our selection of available properties in the Stonebrook Subdivision area. Get to know Stonebrook Subdivision better with our featured images and videos.